Physical therapists and athletic trainers looking for a way to expand their facility and offer added value to their athletes can benefit from investing in a cryotherapy tub from HydroWorx. Cryotherapy treatment is becoming increasingly popular among athletes and rehab professionals. 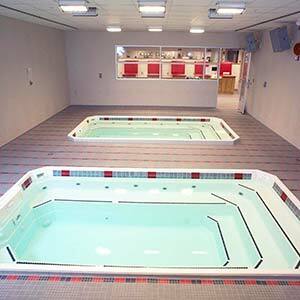 HydroWorx has long been considered a leader among aquatic therapy and fitness pool manufacturers. Our PolarPlunge cryotherapy tanks offer all the benefits of a conventional HydroWorx therapy pool — including deep-tissue massage capability — with the added ability to offer a therapeutic cold water workout. Call HydroWorx today for more information, or to order your free informational DVD. 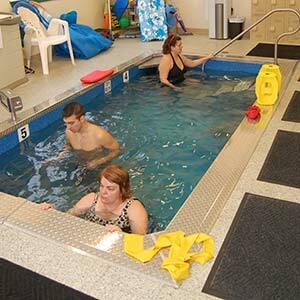 Resistance therapy jets that allow you to select various water speed and direction settings. A deep tissue massage hose for providing a soothing, post-workout cool down. A self contained, automated equipment pack that filters and recirculates water. A modular design with three available sizes to provide a flexible, hassle-free installation. With the advanced capabilities of a HydroWorx pool, your clients can get the most out of their Watsu sessions. Rather than simply performing the exercises in standing water, a HydroWorx Watsu pool includes variable speed resistance jets to slowly increase the intensity of the workout, allowing you to push your clients further with a lower perception of effort. Purchase a HydroWorx pool for cryotherapy, and you can count on our team to deliver comprehensive after sale support that will help you make the most of your investment. We offer 24-hour customer service, full installation support and more. If you’ve been considering adding a cryotherapy tank to your facility, contact HydroWorx today.